TGIF! As always, click the photo for the direct link. 1. Super cute clocks by Wendy Smedley! What a great way to use up some paper scraps! 2. Remember this post on sewing projects for your dining room table? These placemats by Susan Weinroth (my new blog crush - she quilts AND scrapbooks!) should have made the roundup! 3. 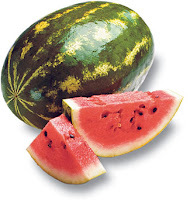 The How-to Gal did a great post on how to pick a good watermelon. We just bought our first of the summer -yum! 4. 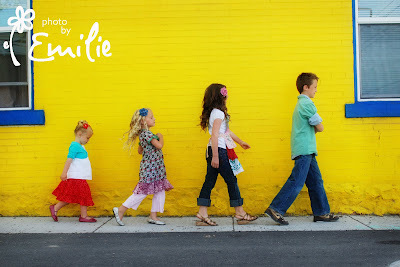 Blue Cricket Design has some great tips on photographing children from a guest blogger named Emilie. I can use all the tips I can get! LOVE this image. 5. I MUST try this cookie posted on KevinandAmanda. 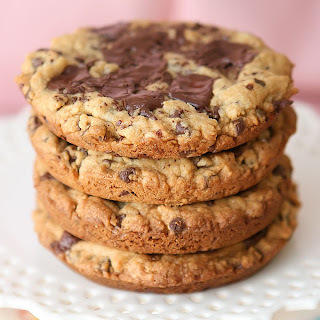 Salted Caramel Dark Chocolate Chunk Cookies. Really, do I need to encourage you any further?